I am now the proud owner of a PRISTINE Chaparral 1995 2130ss in the teal and gold color scheme. It is a gorgeous color combo and this boat is especially beautiful! 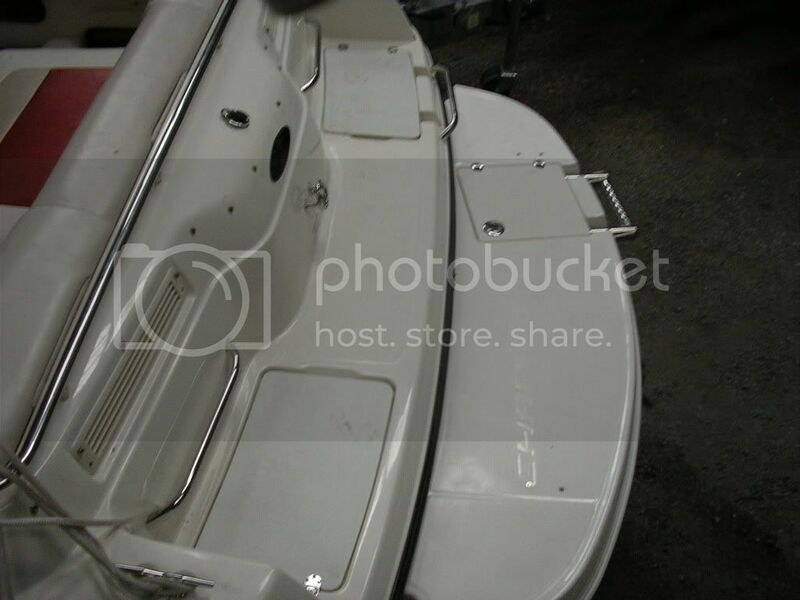 I am the second owner and the boat has sat in indoor storage for the past 11 years. 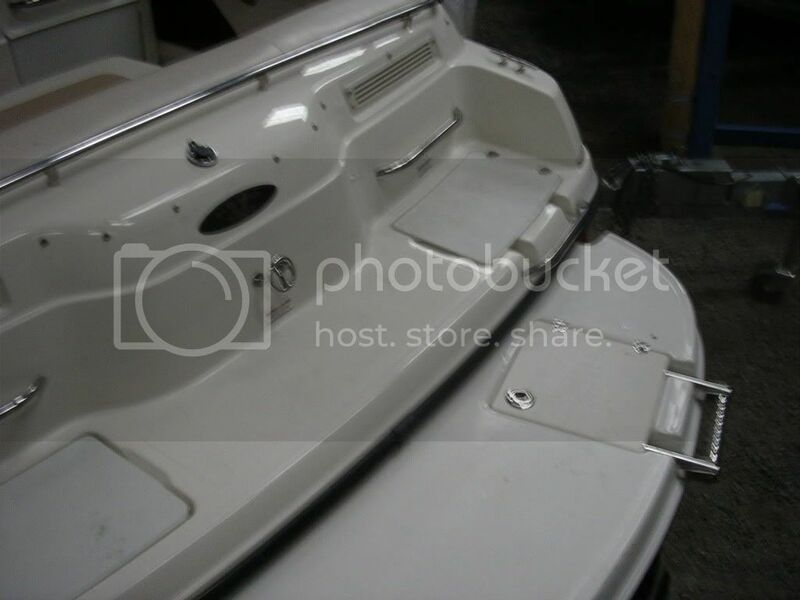 The boat only has 180 original hours and has no blemsihes, dings, fading, etc. The upholstery looks factory as does the gelcoat. The motor is a 5.7l GM block with a yamaha outdrive. All the electrical works (lights, blower, bilge, trim, etc. ), the throttle shifts smooth as butter, and the steering is silky smooth as well. The motor does have a crack in the riser and may have other damage as well. This is no big deal as I have a 5.7l Mercruiser and alpha one outdrive that are in great, working condition with only 400 hours. The Mercruiser came off of a 1996 Regal donor junk boat. I will try to get the Yamaha working if I can, but if not, I will just swap the Merc in. 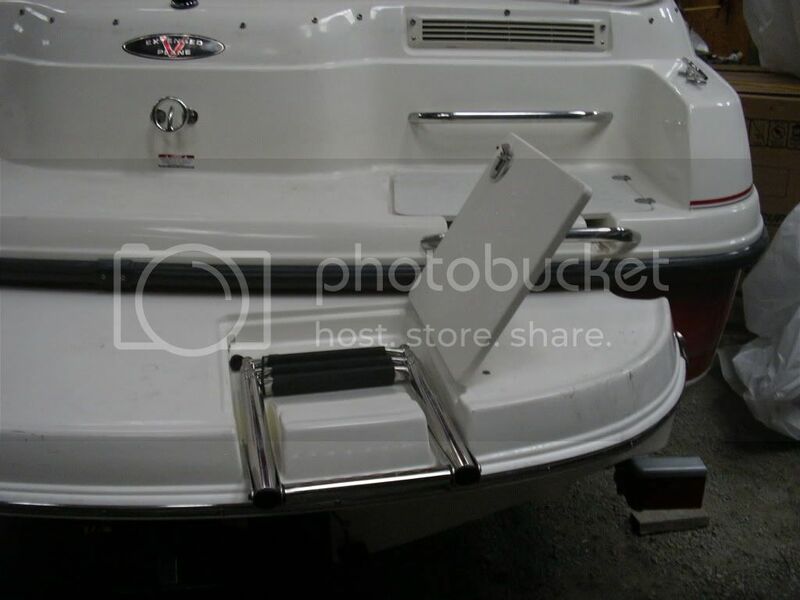 If I do get it working, then I will have a decision to make as I have seen some Yamaha sterndrive parts for sale around the internet, and also I have read about people having sucess using Mercruiser parts (gimble bearing, exhaust manifolds, bellows, etc.) Apparently Yamaha got sued for being too similar to either Volvo or Merc, but they still make their outdrives overseas. Anyways, this will be my first real boat once I get everything squared away. I am a 20 y/o college kid who works and uses extra scholarship money to fund his passion! I've always loved Chaparral's because my dad a 1989 2100sx when I was a kid, so that led me to wanting a Chap. I got a great deal on this boat. Unfortunately the previous owner had health issues and recently passed away. That is why the boat sat for 11 years in dry storage. The boat even came with the Yamaha service manual, Chaparral manual, and maintenance/ cruise logs. I will post pictures once the boat is delivered to South Florida from Fort Walton Beach. 1) If I swap the yamaha motor and drive with the Merc, I want to use the throttle currently on the 2130ss because the Mercruiser one is stiff and faded. This should work fine, except the Yamaha has the trailer trim button on the outdrive, where as the Merc has the button on the throttle. So my options are: 1) bypass the trim limit? 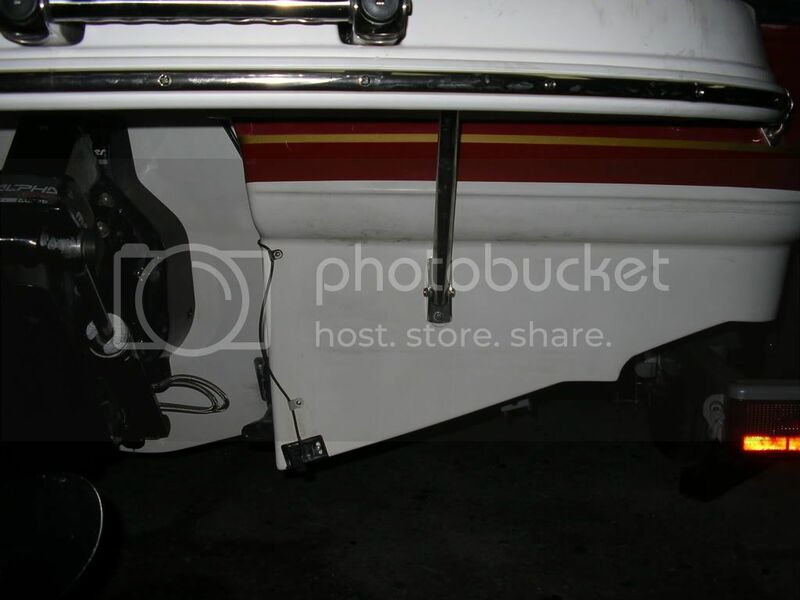 2) Use the boat without trailer trim. I have a dual axle trailer, so I really need trailer trim anyways? 3) Install another switch somewhere near the transom? Welcome! Great story. I am mechanically declined so I'm of no help, but I'm certainly looking forward to the pics. I remember buying my second boat: a 1978 Browning Monte Carlo 2 from its original owner out of its garage home, in ridiculous condition. Take good care of her, and congrats. Good stuff and nice second boat. This boat I stumbled across literally looks like it just came out of the showroom after the PO got it detailed. In the pictures online it was a dirty mess, but that all cleaned right up with a little bath. 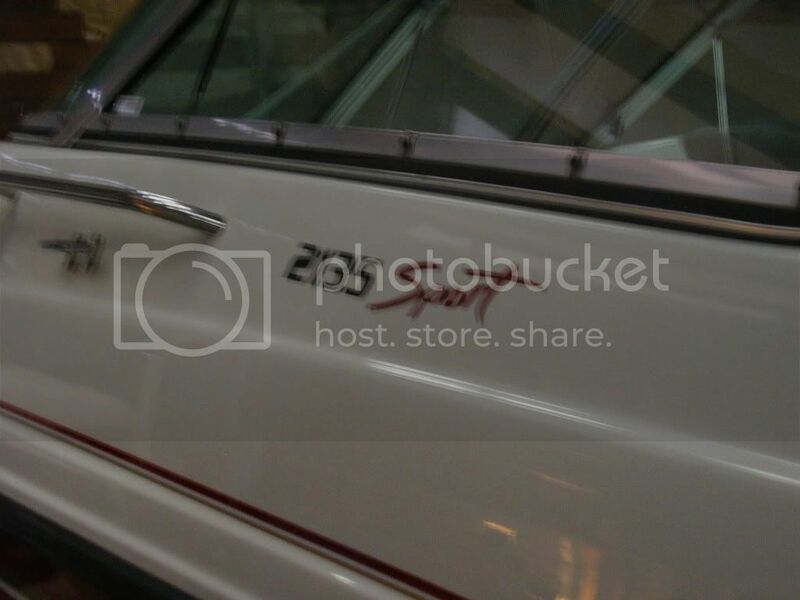 I love boats and Chaparrals, so I'm stoked for the adventure! Hope to be out on the water in a few weeks! I would strongly urge you to perform a compression test, and leak down test. If the engine proves to be sound, than I would do the following, and keep as much Yamaha equipment as possible; it's quality stuff. 1. Source any required parts such as riser(s), etc. and install them. 2. Replace the impeller. Won't be fun, but will be needed. 3. Check the distributor cap and rotor, replace as required. 4. Remove the drive, and grease the U-joints, and then check the engine alignment and grease the drive splines. 5. Lastly, and I'm sure I sound like a broken record, but after you get the boat working 100%, install an extended swim platform. Either a factory platform for a 210 SSi, or an aftermarket one through swimplatforms.com Adding SeaDek to the ESP and integrated swim platform makes a world of difference in ease and safety. Nice find. Hope you enjoy the boat. Well my mechanic wants to hook up alternate fuel line (because of the old gas) and just see if it will even run. He thinks it may end up seized, but we will remove plugs to lessen air compression in cylinders and dump oil in the heads. 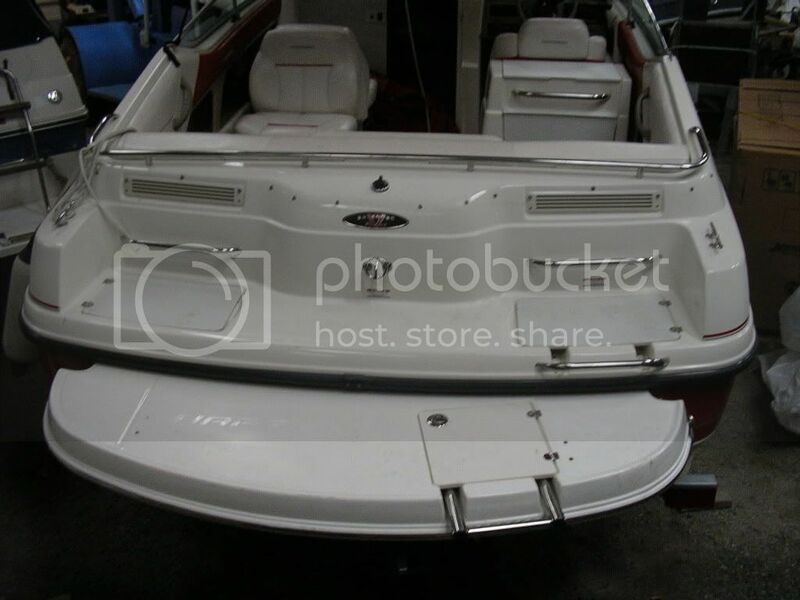 Yes, I would be converting the risers/manifolds to a mercruiser set up. I already have these brand new on my other engine (I just changed them). I am a salt water guy, so these are important. Yep, great idea here. I will do it. The Yamaha has a sea water pump with impeller on the block, not in the drive like alpha. Will do soon, especially if there is trouble starting. Yes, I usually spray the U-joints with silicone and I will grease all splines, check the gimbal, etc. I always felt it was dangerous that boats like that don’t have a swim platform over the outdrive. I know you shouldn’t be back there while the boats running but things happen and that always freaks me out, even if it’s just someone slipping in the water or jumping straight down when it’s off and hitting it. Exactly. The style of non-skid Chaparral used for the fibreglassed areas on the integrated swim platform, along with the smooth storage lids were not as aggressive as the later models SSi models, etc. for slip resistance, so falls and slips happen easier IMHO. Outdrive vs human body, there's only one winner there. To make a person a believer though, sometimes you'd have to have 2 of the same models side by side at the dock; one with the ESP, and the other without. Thanks guys! I will look into it. Gotta get the engine situation squared away first though! The man knows of what he speaks. I had one of that era, and I slipped a few times. It was scary as you were going down into the outdrive if you didn't catch yourself. Then after adding a swim platform, a buddy took a header and rolled off the back sun pad, onto the platform, and keep rolling into the water. He and the rest of us were laughing so hard we had snot coming out our noses. But if I didn't have the platform we would have a true emergency on our hands. Hey guys just an update: Thursday, a buddy and me used an engine hoist to remove the 5.7l motor from the donor boat. It was difficult, but we did it. 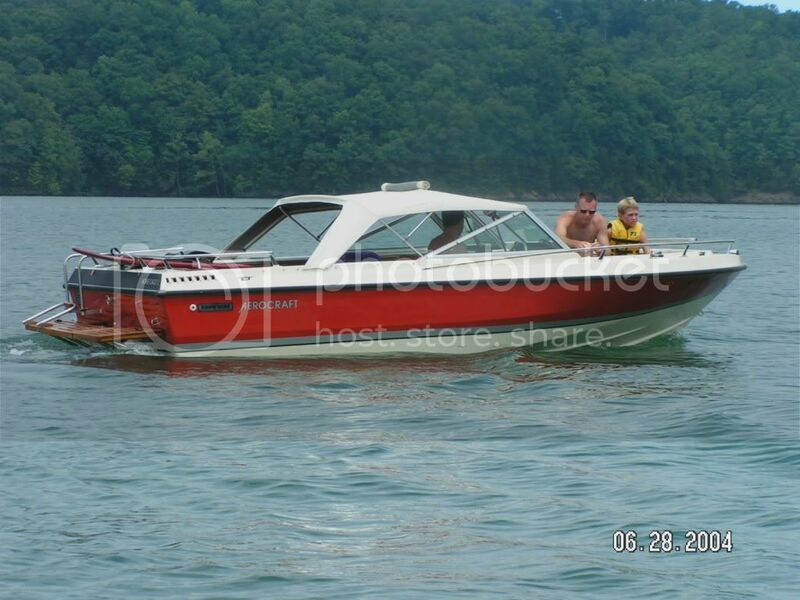 Also, yesterday I got the old boat off the trailer so that today I could head up with my fiance to get the Chaparral. I will post pictures in the next few days for sure! Hey guys, today was the day we picked her up! She is drop dead GORGEOUS. I will link pictures, enjoy! Location:new yawk, upstate that is! Very nice! One day, maybe, well see how in love I am! But very good, huge congrats!!! Thank you. She sat in a marina in indoor storage unused from 2003-2014...Only 180 hours on the boat and motor! Well we got her home safely, now my buddy and me are going to see if we can get that engine going. We are probably going to have to drain the fuel tank, but we will see. Maybe there is little to no fuel in the tank and this boat has never seen ethanol. I think I'd rather hang with the other sister. Well today was a HUGE day! After putting fresh fuel and sea foam in the tank, the Yamaha (gm 350 4bbl carb) roared to life on the second try after sitting for over 5 years!!! It shot out black crud and we ran it for about 10 minutes! I have a lot of engine work to do, but at least I don't have to pull and replace the engine. I hope to be out on the water in a week or so to salvage what's left of summer. It actually ran surprisingly well and had no knocks or anything. It also didn't stall when idling. All gears work well too. That's fantastic! Is this running in water? or with earmuffs? With the muffs. As soon as replace the manifolds risers, all fluids, oil/fuel filters, plugs, fuel lines, thermostat, impeller, and water pump we will be taking it to the water! Can't believe it ran, but it still needs plenty of work, but that's a whole heck of a lot easier than having to swap engines!